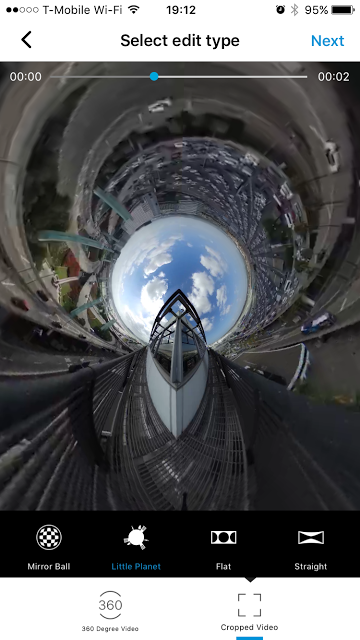 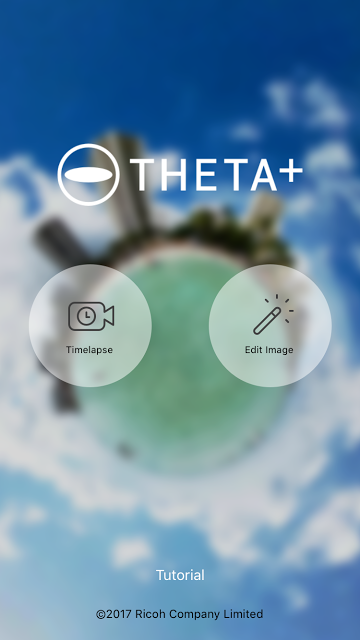 Ricoh has updated its Theta+ app for Ricoh Theta cameras, adding new image editing features. 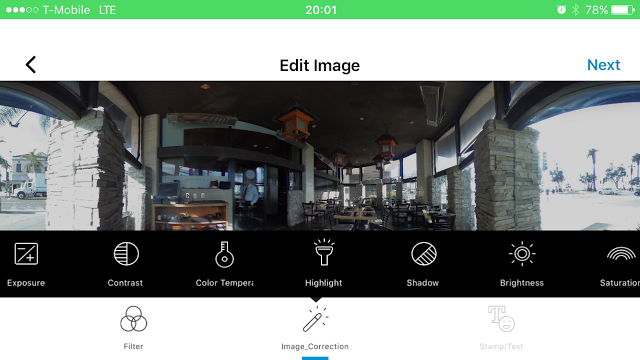 Besides a new user interface, the revised Theta+ app gains new image editing capabilities, including the ability to adjust exposure, contrast, and other parameters. 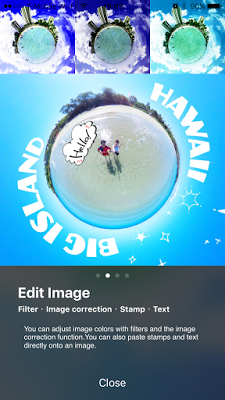 There is also a feature for adding text and stamps, but the feature works only with the Mirror Ball projection.